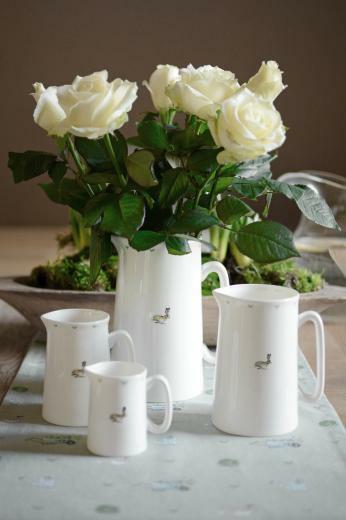 A wide selection of fine bone china mugs with quirky country designs by Sophie Allport. All our mugs are hand decorated and finished in Stoke on Trent in the UK. There’s a mug design to make everyone smile over their tea or coffee. Inspired by nature you’ll find chickens, bees and hare collections plus pet inspired dog, horse and cat ranges. Mugs for gardeners and seasonal specials! All mugs come in a smart gift box and make great gifts. They are available in standard 275ml or large 425ml sizes. Make that cup of tea or coffee extra special!